I enjoy riding my 2007 Honda Shadow Spirit, over the past few years I have added a few items for the looks and to enjoy the ride. I've added the smoke faded shield, accent lighting for the ground effect, handle bar USB cellphone & GPS Port charger power adaptor,PYLE PLMCA30 Motorcycle Mount Amplified 300-Watt Stereo Sound System with Dual Handlebar Mount Speakers. I've also re-upholstered, monogramming my name on my seat while adding contour gel insert and memory foam padding. Adding to my bike makes my ride more enjoyable everytime. I don't get offended when riding with Harley's, the Honda does just fine and sometime even better. Go girlfriend. 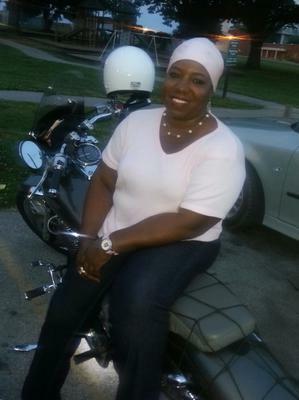 You look great on your Honda Shadow Spirit. That's a great looking bike. Ride safely. Love your Shadow! I've got one too. I also like your comment about riding with Harleys. Keep the shiny side up! I also have a Honda Shadow Spririt, 2012 just got it this year, I have replaced the seat, added highway bars, sound system, floor boards, etc etc, I love my bike. This summer I had an opportunity to go to Martha's Vineyard off the coast Of MAss, on the way over we had to board a boat, a couple of big Harleys were parked there and they were chatting when we drove up (my friend also has a Honda) we acknolwedged them with a Hello and they just turned and started talking amogest themselves again, I was like what the heck! I don't always get that from Harley people but sometimes you just get one, I noticed the plates were from two states not in this area, could have been the reason also. Who knows!